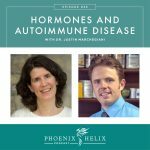 There is a complex connection between hormone balance and autoimmune health. The more balanced our hormones, the more balanced our immune system (and vice versa). 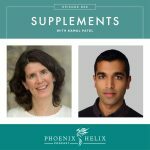 Over the years, I've dedicated many podcasts to this topic, including overall hormone balance, adrenal health, thyroid health, infertility, pregnancy, and postpartum. 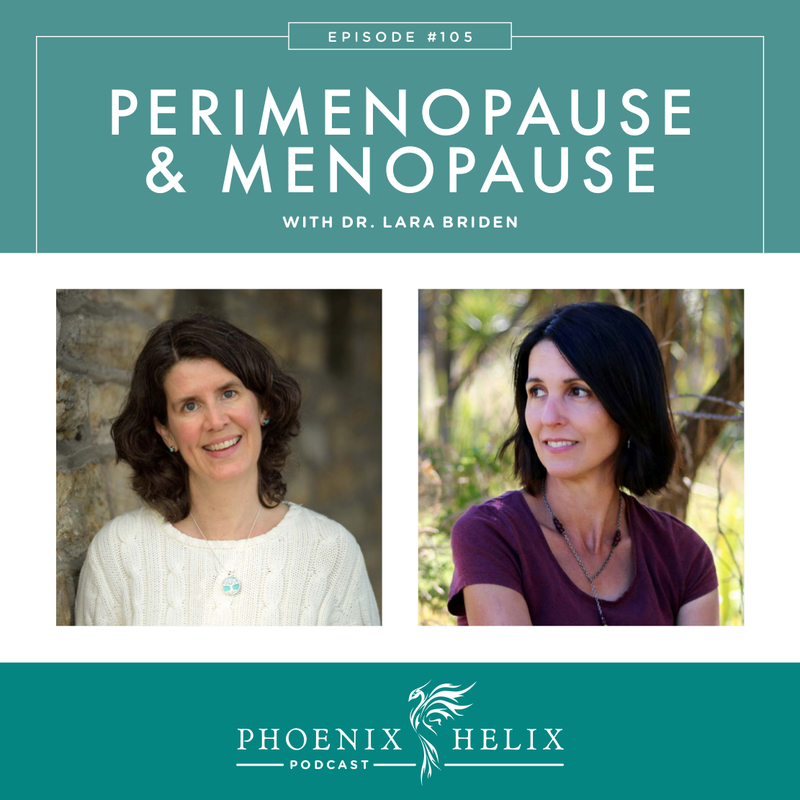 Today's podcast focuses on the menopausal transition. While smooth for some, this time of life can be rocky for others. My guest, Dr. Lara Briden, will be sharing practical steps for navigating this transition as smoothly as possible. A naturopathic doctor with over 20 years of experience, she is passionate about women's health. Her book, The Period Repair Manual, is a manifesto for better hormones throughout a woman's life. Now in its second edition, the book has been an underground sensation and has worked to quietly change the lives of tens of thousands of women. This is a topic very close to my heart, because I’m 49 years old and I have experienced some pretty big hormone swings over the past decade. In fact, I developed rheumatoid arthritis during perimenopause. At first, the paleo diet, along with some simple supplements, balanced my hormones and my immune system. However, as I got closer to menopause, that balance became harder to maintain. I’ve experienced hormone-related autoimmune flares, adrenal fatigue, and most recently dramatic mood swings. Many of you have had similar experiences, and this can happen in spite of excellent self-care. The information I found on Lara Briden's website was immensely helpful, so I invited her to be a guest on this podcast, in the hopes of helping us all learn to navigate this phase of life smoothly. As we transition into Fall in the Northern Hemisphere, I thought it would be fun to highlight all of the soups on Paleo on the Go's menu. In addition to 3 kinds of bone broth, they have 7 delicious soups: Creamy Asparagus Soup, Minestrone Soup, Loaded Baked Sweet Potato Soup, Butternut Squash Bisque, Cream of Broccoli Soup, Hearty Beef Stew, and Grandma's Chicken Soup. Can you find them all on their AIP menu. Dr. Lara Briden is a naturopathic doctor with over 20 years of clinical experience. She received her degree from the Canadian College of Naturopathic Medicine. Before that, she worked as an evolutionary biologist. Lara is the author of The Period Repair Manual, a manifesto for supporting hormones naturally throughout a woman's life. She is 48 years old and experiencing perimenopause herself. Sleep is her biggest challenge, and in addition to diet and self-care, bioidentical progesterone has been very helpful. She's also noticed reduced stress resilience, which is very common during perimenopause. Perimenopause is the 2-10 year period before menstruation stops. Menopause is the life phase that begins 1 year after your last period. This normally happens between the ages of 45-55. This means that perimenopause can begin in your late 30's. Women spend 1/3 of their lives in menopause, which is why supporting our health through this phase is so essential. Dr. Jerilynn Prior is Lara's mentor and a premier researcher in this field. Perimenopause is also know as “second puberty”. A normal menstrual cycle is an ovulatory cycle where menstruation occurs 2 weeks after ovulation. The whole cycle usually repeats every 21-35 days, with menstruation lasting 2-7 days and releasing 15-80 ml fluid. Ideally, there is no pain, minimal PMS, and cycles are pretty regular. During perimenopause, ovulation happens less frequently. This is completely normal, but the result is a loss of progesterone. Progesterone has many functions. It matures and thins the uterine lining, which is why extremely heavy periods can happen during perimenopause. It's also a calming hormone, stabilizing the HPA axis and acting as a neurotransmitter for the brain, which is why mood swings, difficulty sleeping, and loss of stress resilience are also common. Lastly, it acts as an immune system modulator, which is why autoimmune flares can increase during perimenopause. Simultaneously, we are on an estrogen rollercoaster, with estrogen spiking ups to 3 times higher than ever before and then crashing lower. This also contributes to mood and immune dysfunction. This rollercoaster happens because our bodies start to produce more FSH, which stimulates estrogen production in an attempt to make ovulation happen. At the same time, we don't clear estrogen as well as we get older. Some of the factors involved in estrogen clearance include gut health, liver health, detoxification, and the MTHFR genes. Histamine intolerance is also common during perimenopause, because estrogen stimulates histamine, which in turn stimulates estrogen, creating a vicious cycle. Commons symptoms of histamine intolerance include headaches, fluid retention, breast tenderness, increased allergy symptoms, and heavy periods. Due to this connection, anything we do to support hormone balance helps stabilize histamine levels, and anything we do to reduce histamine helps support hormone balance. Women in their 40's have a 2-3 times higher risk for depression and anxiety. Thankfully, that risk reverses after menopause. The risk for developing autoimmune disease increases during puberty and also during perimenopause. This is because the whole immune system remodels during this time. Whenever there is a big hormonal shift: puberty, pregnancy, postpartum, and menopause, there is a corresponding shift in the immune system. Depending on the person and the diagnosis, this can lead to autoimmune onset, flares, or remission. A smooth transition includes only mild symptoms: slightly more PMS, slightly worse sleep, slightly less stress resilience, but nothing overwhelming. Periods stay pretty regular until 2 years before the last menstruation. During the final two years, it's common to go months between menstrual cycles until they stop altogether. In this scenario, estrogen is on a slow decline rather than the estrogen rollercoaster mentioned earlier. A challenging transition has markedly increased symptoms which can include extremely heavy periods, intense PMS, severe insomnia, headaches, mood swings, anxiety, depression, and hot flashes. 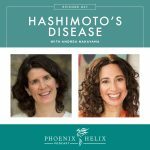 The combination of Hashimoto's and perimenopause can be especially challenging, because Hashimoto's commonly flares during perimenopause, which in turn can worsen perimenopause symptoms. When you visit ShopAIP's website, you can quickly find ingredients by category. Today, I'm highlighting healthy fats which are essential to health bodywide, including brain health, cellular health, and hormonal health. 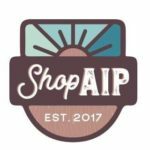 ShopAIP sells a complete line of AIP-friendly options. Find the oil options here, and cooking fats here. A smooth perimenopause usually leads to a smooth menopause, because it allows the body to gradually adapt to a lower level of estrogen (without the spikes and valleys of an estrogen rollercoaster ride). A rocky perimenopause often leads to a rocky menopause as well, as the body withdraws from high levels of estrogen and is also more sensitive to the normal loss of progesterone. Symptoms can include: hot flashes, insomnia, weight gain, vaginal dryness, reduced libido, and weakened pelvic floor muscles which can cause leaking urine and bladder infections. Give yourself some breathing space. Cut back on your responsibilities where you can. Learn to say no more often. This won't last forever, but for the few years before and after menopause, we have new limits, and that's okay. Give up alcohol. It worsens the estrogen rollercoaster, challenges our HPA axis which is already struggling, increases the histamine response, impairs detoxification, and depletes glutathione which is an immune system regulator. Give up dairy, especially cow dairy. It releases histamine and often has an inflammatory effect. This has an especially powerful impact on heavy periods. Often when we have a health problem, we feel like we should be able to fix it through perfect diet and lifestyle choices, and when that doesn't work, we feel like a failure. A rocky perimenopause or menopause transition isn't your fault, and sometimes perfect behavior isn't enough to manage the symptoms that arise. At a certain point, it's not about being more disciplined; it's about allowing ourselves some help. Conventional HRT involved high doses of Premarin (conjugated estrogens derived from horses) and Provera (a synthetic progestin). The goal was to ease the menopausal transition, but an unforeseen side effect was increased risk of cardiovascular disease and breast cancer. This was discovered through the Women's Health Initiative. When these research findings were released, HRT prescriptions largely ceased, because both women and doctors were afraid of these risks. This meant that many women suffered severe symptoms without help. Bioidentical hormones are derived from plants, but created to match the body's natural hormone structure for estradiol and progesterone. Used in a low dose, they can be very beneficial without carrying the risks of the conventional HRT of the past. Why do women sometimes need hormonal support? Modern life has impacted our bodies in multiple ways over our lifetimes. Not only do we have fewer children than our paleolithic ancestors, we are also exposed to many stressors they never faced. This impacts hormone balance and the menopause transition. Personal experiences: Both Eileen & Lara take natural progesterone and find it to be very helpful. Eileen was experiencing severe mood swings which the progesterone alleviated. And Lara credits the progesterone with easing her perimenopause experience overall. Progesterone cream: Ideally, you want to work with a practitioner when trying bioidentical hormone therapy. But Dr. Briden feels it's safe to experiment with progesterone cream and see if you feel a benefit, and these are sold without a prescription. (Eileen uses Emerita Pro-Gest.) Since progesterone levels are always low once you reach your 40's, there's no point in testing before supplementation. Testing afterward might be helpful to find the correct dose, but your symptoms can also be a guide. Estrogen supplementation isn't recommended if you are still menstruating. However, if you're in full menopause and experiencing symptoms that progesterone alone hasn't alleviated, work with a practitioner to find the lowest beneficial dose. Prescriptions: Vaginal estrogen cream, estrogen patches, and progesterone capsules all require a prescription. However, some doctors still prescribe the conventional hormones that are best avoided. To find a doctor who uses bioidentical hormones, google that term + your town name, to see who advertises this service. You can also ask your local pharmacist. Prometrium and Utrogestan are prescription brand names for bioidentical progesterone capsules (also called micronized progesterone). Estrodot and Estroderm are prescription brand names for bioidentical estrogen patches. Vagifem is a prescription name for a bioidentical estrogen vaginal cream. And GynoFlor is a vaginal suppository that combines low-dose estrogen + probiotics; it's not yet available worldwide, but it is available in Europe. If you're not sure if the brand you are currently using is bioidentical, comment on Lara's blog post with the brand name, and she'll let you know. Resource: Dr. Jerilynn Prior's use, dosage & timing recommendations. Step 1: Try magnesium. For 50% of Lara's patients, this is enough to soothe their symptoms. Step 2: If symptoms persist, add natural Progesterone (cream or capsule). Step 3: Estrogen isn't recommended if you are still menstruating. However, if you have fully entered menopause and magnesium + progesterone haven't alleviated your symptoms, work with a practitioner to find the lowest possible dose. Estrogen is best absorbed through the skin, so creams and patches work best. Lara's blog post has more details, and her book also includes some extra supplement recommendations. This transition period doesn't last forever. Research shows that once we stabilize in this new phase of life, women often enter their happiest years. 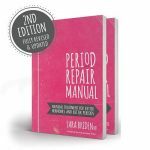 Dr. Lara Briden is the author of The Period Repair Manual, and has a great blog as well. She also works with patients 1:1 in Australia through the Sensible-Alternative Naturopathic Clinic.